I have written in other blog entries, dear Army, the need to revitalize our forces. There is a need to adapt to certain modern music for the purpose of reaching other generations. There has been some discussion about how some forms, like brass bands could use a tune up (see article:Brass Bands) But, we should never lose our heritage in the process! We have a rich history to preserve while at the same time evolve. It is not that the gospel message is outdated, for it could never be so, but rather the means of conveying that message in a ever progress society should adapt. 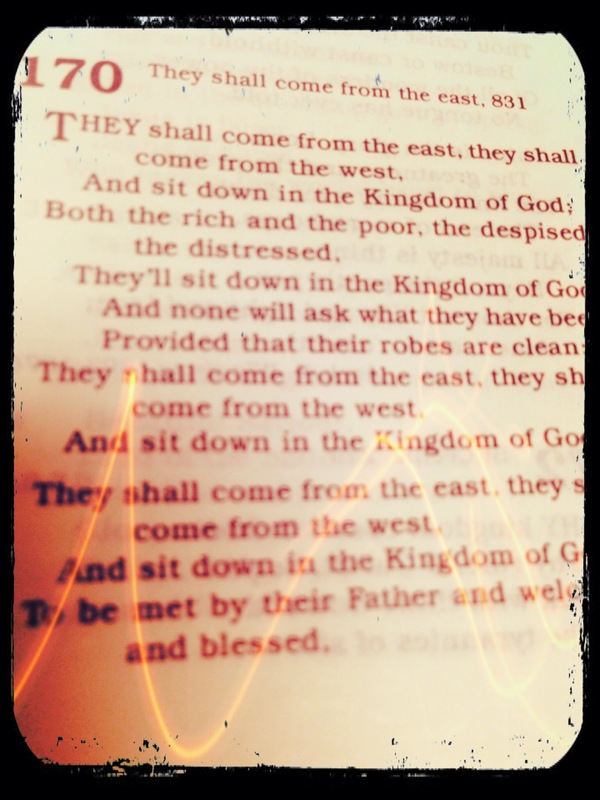 I don’t think anyone is truly considering the “doing away with” the Red Song Book…yet, but I wanted to present a case for the Red song book of The Salvation Army. I realize that it does somewhat vary from country to country but what if one day these books are no more? I know something else will eventually take its place, but what? Obviously not all song writers in the red song book were Soldiers and Officers of the Army. But certain names pop out of these pages. Names that fought the good fight. Names that are forever linked to souls who gave their all for Jesus and for this army. Many wrote these cherished songs in the midst of trials and troubles they themselves were going through. These are testimonies of saints who have paved the way for us. We shouldn’t revere them or place them on pedestals because I am positive they wouldn’t want that. Many of these writers wrote these solemn words that we sing to show others the way to Christ. The purpose of their writings was to usher us into a deeper relationship with the Father. Many of these saints were humble servants of the Most High. They are inexplicably linked to the war we still wage upon poverty and sin in our world today. Though time has marched onward this battle is still very real and we need to be reminded of our past as we diligent fight on in the present as Soldiers of God! I play modern worship songs on Sunday along with the use of the red song book. Although I love some of the modern songs, and they are getting progressively richer in lyrical depth (not just repeating the same phrase over and over like they used to), they can not match some of the depth that hymns from our red song book can produce. I say some, because not all are rich in meaning and personal conviction, but many carry with them heart-felt anthems of praise and petition. “O boundless salvation! deep oceans of love, o fulness of mercy, Christ brought from above…” -William Booth. I’m sorry Chris Tomlin, I love you and your songs but these words still penetrate more deeply in my heart. Not all songs in our red song book is perfect, nor do many of them line up theologically on sound footing. But many rich lines of holiness speak of more than just salvation as our goal. Becoming Christ-like in our hearts and lives. 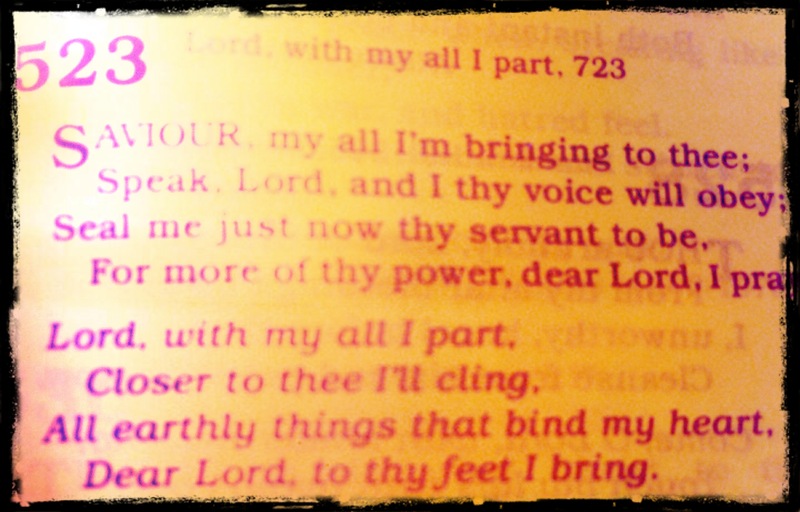 The full surrender to His Holy Spirit…these are powerful visuals for us all to absorb. If these powerful lyrics fade from our Army world what will fade next? I don’t say that as a threat or as some sort of scare tactic, I just hope that as we attempt to update and adapt to our world that we never compromise our holiness theology and that of our historical presence in song. There is still a place, a very prominent place for Albert Orsborn’s “Let the beauty of Jesus be seen in me“, or Sidney Cox’s contributions or John Gowans and the entire contribution of former Generals and the Booths. 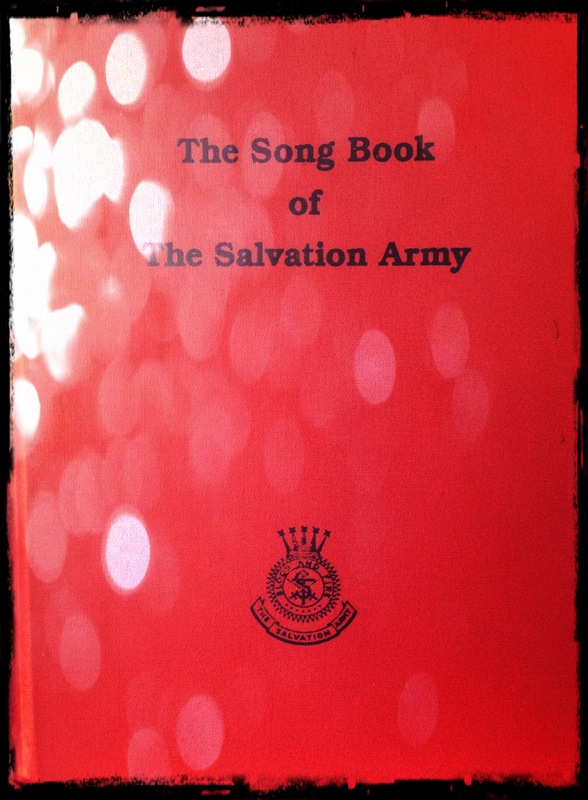 This Red Song book shouldn’t been displayed in a museum of history of how our Salvation Army used to be…no! It should be sung. It should be used, albeit carefully from time to time. But may we never throw out the baby with the bathwater, so to speak, as we attempt to modernize and update our army and, in the process lose this identifiable link to such a rich heritage. These are only a few reasons why we mustn’t do away with our red song book…it is a primer of sorts, a conversation starter. How are we using the red song book? Is it being used in our corps? Do we have other reasons to keep these songs around? Do some of these songs still speak to us as we live out our lives? Do they still convey a need for a Savior and for holiness in a person’s life? How might we update these lyrics to fit our worship today? How can we include such powerful words in our corps and in our lives? Something more for our Army world to ponder today. To God be the glory!